Experience for yourself all the activities of a world class resort built around the best old-west ski town. Come visit Breckenridge, still lined with quaint Victorian homes and buildings, where yesterday�s gold boom is now replaced by wonderful restaurants, lots of shopping, all sorts of nightlife, and ski trails that run into the heart of town. 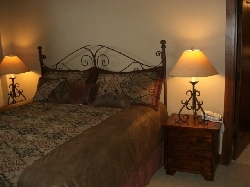 So come play in Colorado�s renowned powder snow or get away to some beautiful alpine summer days. 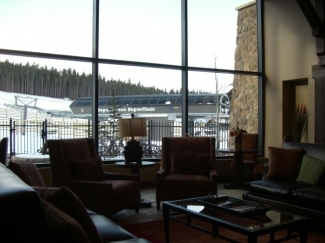 Crystal Peak Lodge, recently completed in 2008, represents Breck�s most exquisite Ski-In/Ski-Out residences and it's ON the ski slopes at the base of Peak 7. This spectacular forested setting is a gateway to the tranquility of Peak 7, the hubbub of Peak 8, and the perfect mountain town below. Specifically, Crystal Peak Lodge is nestled between the Independence SuperChair lift on one side (about 30 yards) and the BreckConnect gondola on the other side (less than 30 yards). Although above the town, the lodge is self-sufficient with an in-house ski/board rental shop, lift ticket office, day spa, fine dining at Sevens restaurant, and private ski lockers. To access the mountain, simply step out the backdoor to board Peak 7�s Independence SuperChair or jump on the gondola for a very short ride to Peak 8, with its variety of restaurants, the ski schools and the Rocky Mountain and Colorado SuperChair lifts. In the other direction, the gondola whisks you to historic Main Street in Breckenridge. 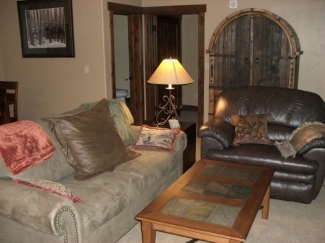 From Crystal Peak Lodge you�re also on cross country ski and snowshoe trails (summer hike and mountain bike trails) that lead through Cucumber Gulch and other more remote areas of White River National Forest. Look out for the resident moose! As you walk into Crystal Peak Lodge, heavy timbers, stone, wrought iron and lots of glass set the tone for this Five Star mountain retreat. Initially you�ll be struck by the grand staircase in the entry leading to a cathedral-like gathering room filled with cozy sofas and tables and overlooking the ski slopes through a wall of glass. Separated from this lounge by a massive fireplace is a game room with billiards and TVs. Next door is the state-of-the-art fitness facility with its stationary bikes, treadmills, a steam room and other fitness equipment all overlooking, through more picture windows, the huge heated outdoor patio with two large hot tubs and a fire pit on the ski slopes! 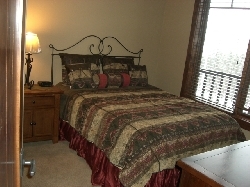 For your convenience, the lodge also provides wireless high-speed internet and a 24 hour front desk. 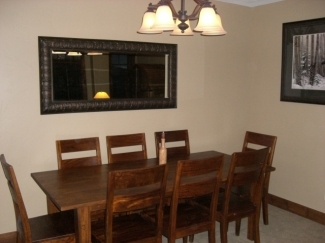 Our particular unit is an elegant residence with a similar rugged, yet refined personality. It features heavy alder doors and trim work; multiple slab granite countertops and stone flooring in the entry, kitchen and baths; rustic cherry cabinetry; distressed wood and bent wrought iron furnishings; and a moss rock fireplace for your cozy evenings. 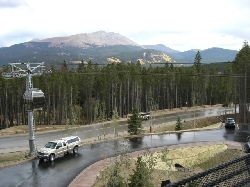 You�ll love the gorgeous views from the balcony overlooking the town of Breckenridge, the Blue River valley and the Continental Divide. 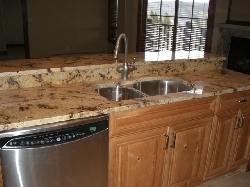 Also for your convenience, our condo includes an in-suite washer-dryer set; two huge bathroom suites; and over 1250 square feet of spacious living area with separate thermostats for each room. If you cook, or just like to entertain, you�ll love the fully equipped gourmet kitchen with its open design and the latest stainless steel appliances. 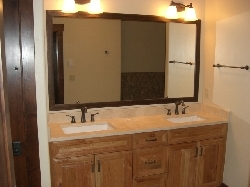 As our guests of Crystal Peak Lodge, the facilities of our sister lodges are also free for your use. 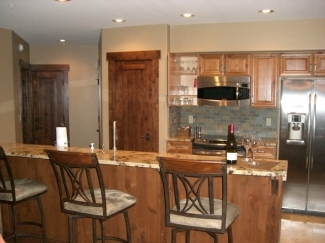 At One Ski Hill Place, just 500 yards by gondola or walking, enjoy the indoor pool complex with a dry sauna, the theater rooms or the mine shaft bowling alley; or for a more outdoor experience, Mountain Thunder Lodge, at the bottom of the gondola, offers a year �round heated OUTDOOR swimming pool with adjacent hottubs and a heated pool house for an easy change of clothes. Imagine the fun of a snowball fight in a warm swimming pool, or just letting the snowflakes land on your nose as you relax in a hottub! 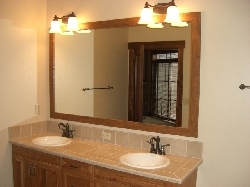 For another wonderful property that is a little less expensive, please see our Mountain Thunder Lodge condo listing at VRBO.com/80369. This site also contains many comments from our many previous guests (from North America, Europe and Australia). Long stays or last minute discounts may be available. Minimum stays may be required during special weeks. Until confirmed, rates may vary without notice.